OpenPage QuickAuthor is the backend application for importing, enriching, managing and publishing ebooks and digital content. The application comes with a modern digital publishing workflow that makes it super convenient for anyone to publish their digital content. QuickAuthor enables you to create, use and preserve your digital resources through its built-in digital asset repository. Add metadata, store, archive and manage your digital resources. Infuse life into your content through digital enrichments that can be embedded inline. Add videos, audio, images, animations and HTML5 simulations and interactivities and more. 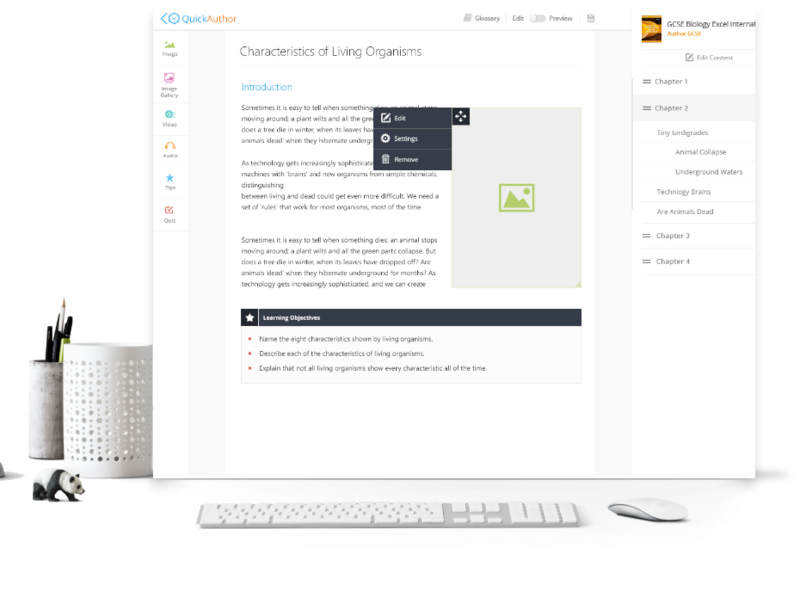 The comprehensive quiz engine allows you to author, configure, embed and deliver quizzes and assessments, inline with the content. Whether your customers use a smartphone, tablet or a personal computer, you can make your content accessible through a single click of a button. No need to publish separate content formats for different platforms or devices. Does OpenPage support PDF as content input? Yes. OpenPage allows you to directly import PDFs. These PPDFs are converted to an EPUB on the fly through an automated process. Does OpenPage support ebook versioning? Yes. OpenPage comes with version control facility. A component: changes when base book changes (i.e. a new EPUB is uploaded). B component: changes when enrichments or quizzes are added / edited / removed. This will also change with remediation sections getting added/edited. C component: changes when book meta-data changes. Does OpenPage support ePUB2 and ePUB3? Yes. Both EPUB2 as well as EPUB3 are supported. OpenPage features a rich HTML5 based widget framework that provides flexible enrichment options to publishers. We recommend adding multimedia assets and formative quizzes to the book content by wrapping it within our widget framework. We term these widget framework wrapped media assets and quizzes as ‘widgets’. What are the advantages of adding enrichments through the OpenPage widget framework? We optimize the EPUB file size by externalizing large assets (like videos and audios). For e.g. if there are 20 videos tagged to a book and each video is 25 MB in size, roughly 0.5 GB will be added to the EPUB file size if heavy assets are not externalized. This would make the download of the epub to device very slow and impact usability in a big way. For videos / audios: the user has the choice whether they wish to download the widgets to the device for offline access or if they wish to stream it from the cloud. We provide usage analytics for any activity around our widget framework. This is very useful if publishers (or teachers) want to track how assets are being consumed by students. Automatic indexes are created for Enrichment Widgets and Quizzes, so that user can easily navigate to them. Search results in enrichments and quizzes are also marked out separately from the rest of the content. What are the enrichment widgets available? How are books published through OpenPage? QuickAuthor is a web based publishing platform on which publishers / authors can manage all their authoring, preview and publishing actions. 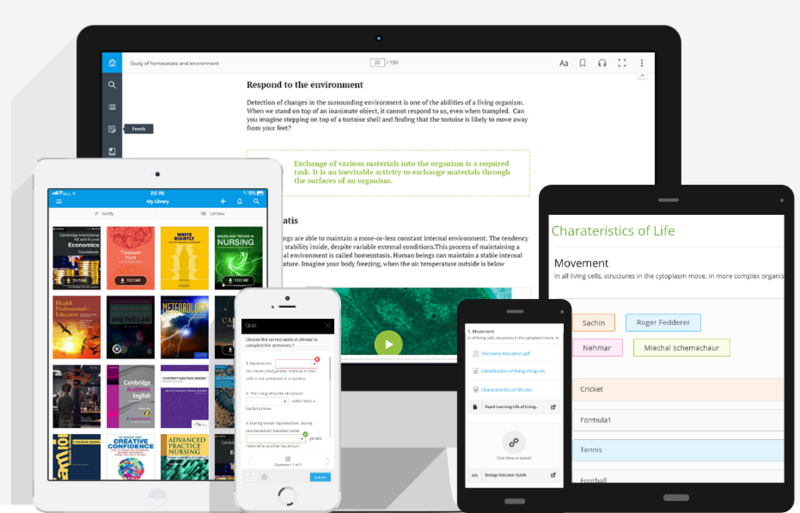 This platform has functions for uploading an EPUB, editing metadata, creating enrichment widgets and quizzes, tagging them to books (in a WYSIWYG fashion), creating glossaries, creating custom table of contents, etc. Once done, they can publish the book at the click of a button. Additionally, QuickAuthor supports rich authoring workflows so that teams can have different individuals handling various functions to collaborate via this platform. Yes. QuickAuthor includes bulk process for publishing of ebooks. Does QuickAuthor provide tools for team and role management? Which ebook layouts are supported? Can one edit the ebook metadata through QuickAuthor? Edit the metadata of the book: Metadata such as ISBN, author name, book title, cover image etc. Edit the TOC of the book: The system allows editors to make changes to the TOC of the book. 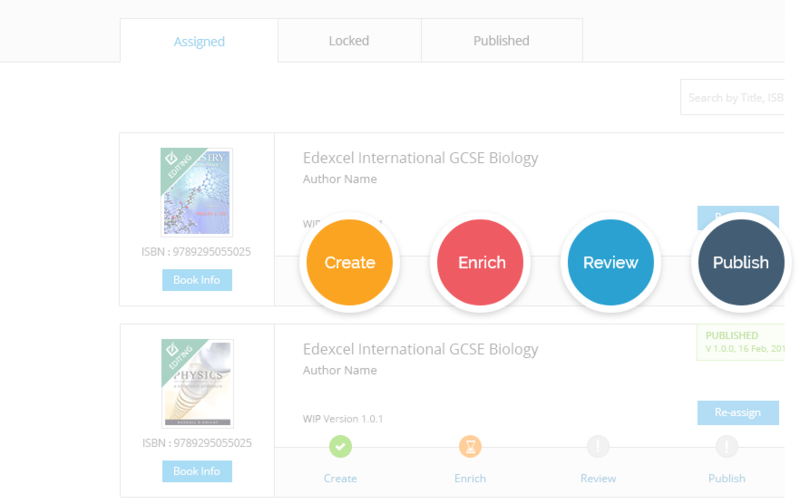 Editors can add new topics, change sequence of topics, add child topics and link to the respective pages. Can one add glossary terms to the ebook through QuickAuthor? Yes. The Add Glossary terms option in QuickAuthor allows you to add terms, provide descriptions and explain them further through multimedia such as audio and images. Can one author quizzes in QuickAuthor? Yes. OpenPage includes a quiz authoring framework that allows you to authir different types of question through the use of pre-defined templates. What question types are currently supported by OpenPage? 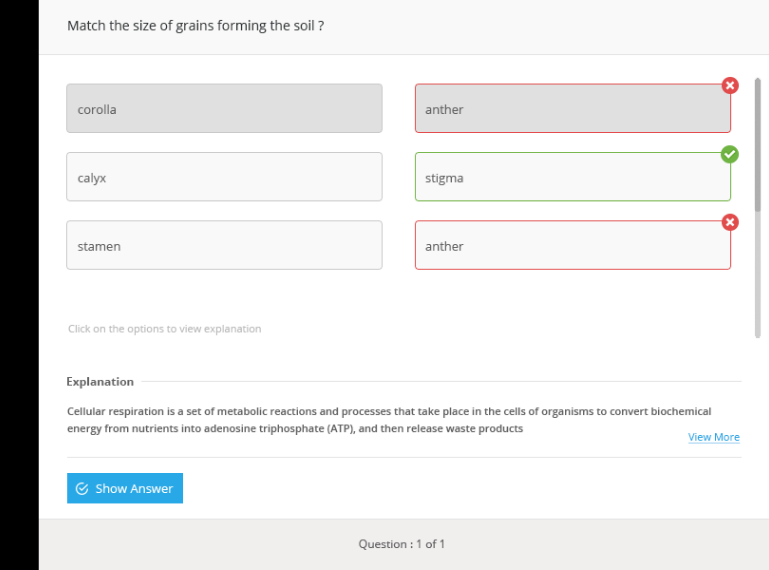 Does the quiz authoring facility include support for alt-text? Does the quiz authoring facility include support for images in questions? How does OpenPage ensure security of the published content? Publisher EPUBs are delivered to devices (iOS & Android) as a secure archive that can only be read by OpenPage. Even if a user accessed the fileStore and reads the encrypted EPUB file, they would not be able to use it outside the OpenPage environment.